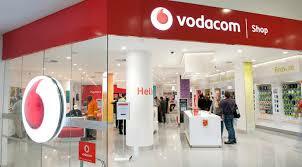 Telecommunication company Vodacom Group Ltd. is on a move to a South African wireless network-sharing deal with fixed-line operator Telkom SA SOC Ltd. as a replacement for former partner Cell C Pty Ltd., according to the story. The company said to have lost about a 1 billion rand ($70.7 million) of annual revenue when another telecoms operator called Cell C come on board to acting as a threat to south african rival MTN Group Ltd. earlier this year, said the people, who asked not to be identified as the talks has not yet being made open to the public hearings. The arrival of Telkom, South Africa’s fourth-largest mobile-phone company, would make up at least some of the shortfall, they said. Vodacom and Telkom declined to comment. Vodacom and MTN are the country’s two biggest mobile-phone carriers with about 43 million and 30 million customers respectively. That’s more than the total population, meaning some people have more than one cell phones using different sim contact. To sustain in a such competitive environment, and earn extra revenue, these telecom companies are seeking to add extra services or partnerships – taking advantage of demand for their 4G spectrum from smaller rivals. For its part, Pretoria-based Telkom, almost 40 percent owned by the South African government, is seeking ways to add scale and compete more effectively with its three larger rivals. The majority of the business is made up of fixed-line services. Cell C has 16 million subscribers and Telkom 5.2 million. ← Get to know these questions and keep them handy while preparing for your CCNA Exams.